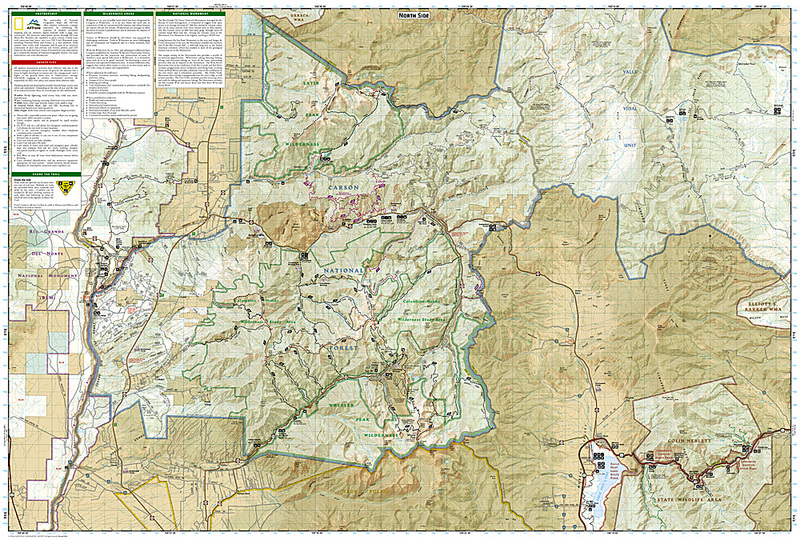 Taos Area Trail Map [ti730] - $10.95 : Trail Explorers Outpost, Keeping the Adventure Alive! 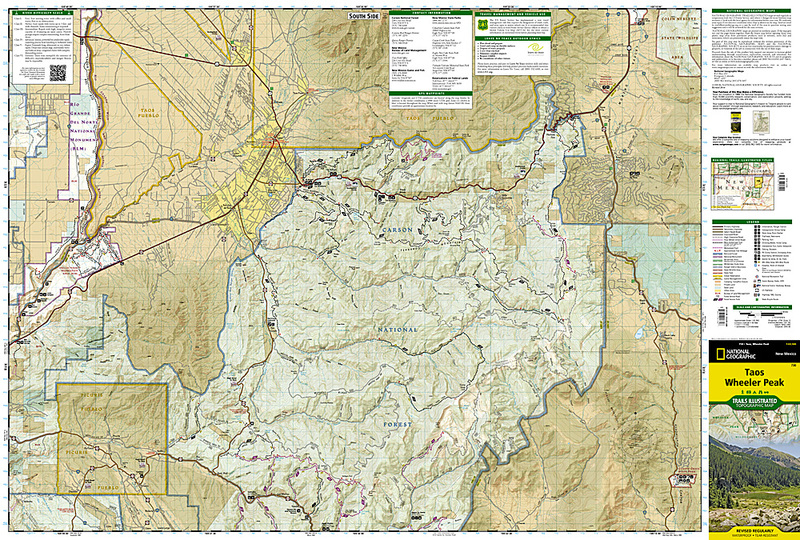 National Geographic's - Trails Illustrated folded topo map - National Forest/BLM Series - shows hiking trails and recreational features, printed on waterproof, tear-resistant plastic material. Scale of 1:40,680. Carson National Forest, Camino Real District, Rated Mountain Bike, hiking and horseback riding trails. Includes Taos, Rancho de Taos, Agua Fria, Black Lake, Valle Escondido, Penasco, Chacon and Northern Pecos Wilderness.